Brandon’s memoir is nominated for Barnes & Noble Discover Award. 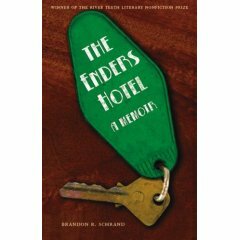 Brandon’s forthcoming memoir, The Enders Hotel, winner of the 2007 River Teeth Prize for Literary Nonfiction, has been nominated for the 2008 Barnes & Noble Discover Great New Writers Award. ← Brandon makes the DALLAS MORNING NEWS.